How do you improve upon greatness? Can you? Honda definitely believes that you can. Why else would they completely redesign the award-winning Odyssey minivan from the ground up? It’s got an all-new attractive style, more features and equipment, plus an advanced suite of safety technology that is second to none. You can choose from five trim levels on the minivan: LX, EX, EX-L, Touring and Elite. What else is new on the 2018 Odyssey? The big news is improvements across the board on the inside of the vehicle. There is a brand new infotainment system that’s incredibly intuitive. The layout mimics that of a smartphone and features familiar “touch and drag” type app functions. Another handy new feature is Honda CabinWatch which utilizes a camera that monitors back seat activities and broadcasts them through the large entertainment screen in the center console. Those are just a couple of new developments on the all-new 2018 Honda Odyssey. We’ll go into further detail on the other exciting interior improvements later on in this space. If you are in the market for the ultimate family vehicle, you owe it to yourself to check out the all-new 2018 Odyssey. Fernandez Honda in San Antonio has a great selection of new Odyssey models to choose from in a variety of trim levels. We invite you to come down to our Honda dealership today to test drive the 2018 Odyssey. We’re convenient to the La Vernia and Universal City areas with our location at 8015 IH 35 S. San Antonio, TX 78224. As noted earlier, there are five trim levels to choose from on the 2018 Honda Odyssey. Standard equipment varies by model trim selected and you can choose from a host of high-end interior options like leather seats, heated/ventilated seats and tri-zone automatic climate control. What other interior features are available on the 2018 Honda Odyssey? The 2018 Odyssey is loaded up with standard and available tech features like Apple CarPlay, Android Auto and Bluetooth technology. The minivan comes standard with an eight-inch touchscreen that offers a wide variety of infotainment options. There are multiple USB ports located throughout the vehicle to help keep the entire family “connected” on long road trips. The all-new 2018 Odyssey is also available with a 10.2-inch rear entertainment system that provides music and video streaming services. The innovative Honda CabinTalk™ function also allows you to talk directly to rear seat passengers via a microphone and rear speakers. What kind of safety technology is available on the 2018 Odyssey? The Honda Sensing™ package is the advanced suite of safety technology that is available on the 2018 Odyssey. This includes features such as Lane Keeping Assist system, Adaptive Cruise Control, Collision Mitigation Braking System and Road Departure Mitigation System. Honda revamped the exterior style on the 2018 Odyssey. The vehicle now features a “dynamic, streamlined new front end” accompanied by LED headlights and all-new grille. Power sliding doors are a must-have option on this vehicle and make loading and unloading a breeze. What are the exterior color choices on the 2018 Honda Odyssey? Honda’s minivan is now available in eight different colors which include lunar silver metallic, modern steel metallic, forest mist metallic, deep scarlet pearl, obsidian blue pearl, white diamond pearl, pacific pewter metallic and crystal black pearl. The 2018 Odyssey comes with a 3.5L V6 engine across all trim levels. This power plant is capable of generating 280 horsepower and 260 lb-ft torque. Honda improved engine technologies in this year’s Odyssey model and that has resulted in an increase of 32 horsepower and 12 lb-ft torque versus the previous generation Odyssey. Where to Buy the 2018 Odyssey in San Antonio, TX? 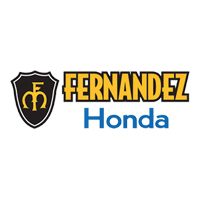 If you are looking for a great deal on a 2018 Odyssey, then you need to head immediately to Fernandez Honda. We’ve just received a large shipment of factory-fresh new Odyssey models and have marked them all for immediate sale. Come visit our Honda dealership today at 8015 IH 35 S. San Antonio, TX 78224.